Collection of donations for the Finnish Red Cross Hunger Day begins on Thursday. The fund to be collected on the Hunger Day is intended to help victims of conflicts and disasters. 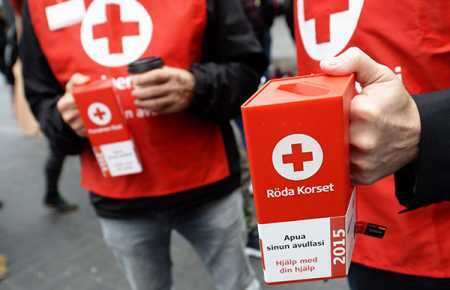 The Finnish Red Cross this time round appeals to the donors on behalf of the victims of the Syri-an war. According to the Finnish Red Cross, due to the worsening humanitarian situation, assistance is needed especially in Aleppo and Northern Syria. More than 13 million people are in need of humanitarian assistance, said the organisation. The fund collection will last until Saturday. Donations can also be made by calling the number 0600 12220 or through bank transfer.